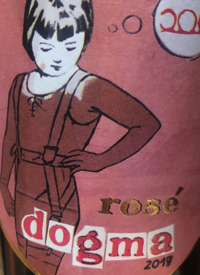 Weinland Österreich, AustriaThe Dogma Rosé is an equal blend of blaufrankisch and st. laurent, from sandy, loamy, chalky soils. The wine spends ten months in stainless to preserve the youthful buoyancy and freshness. Alluring peachy hue, this opens with a hearty swig of reduction that blows off into cherry, cranberry, wild red florals and a brace of acidity. Give this some airtime and a chill and it turns highly smashable.Tasted: 22 January 2019Tasted by: Treve RingPrices: ON	30.95	consignment Producer: PittnauerDistributors: Le Sommelier Inc.